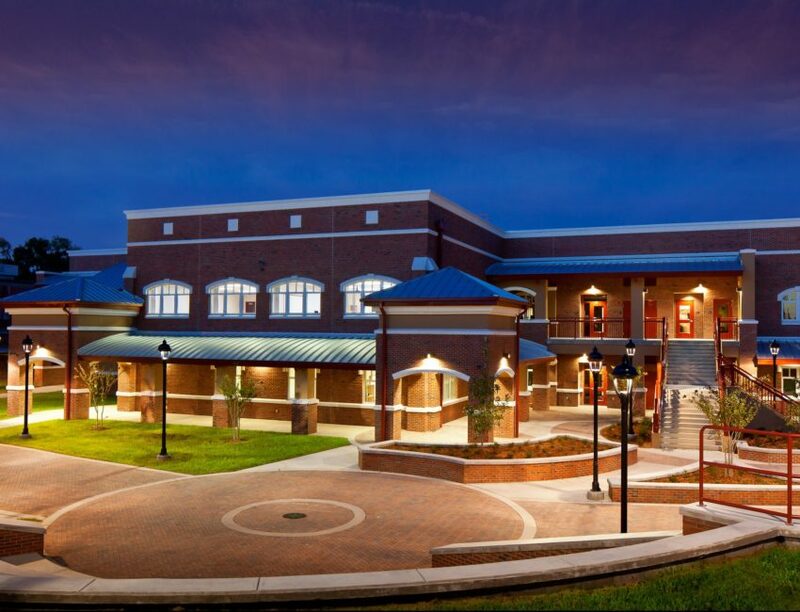 Pasco Middle Courtyard – Spring Engineering, Inc. 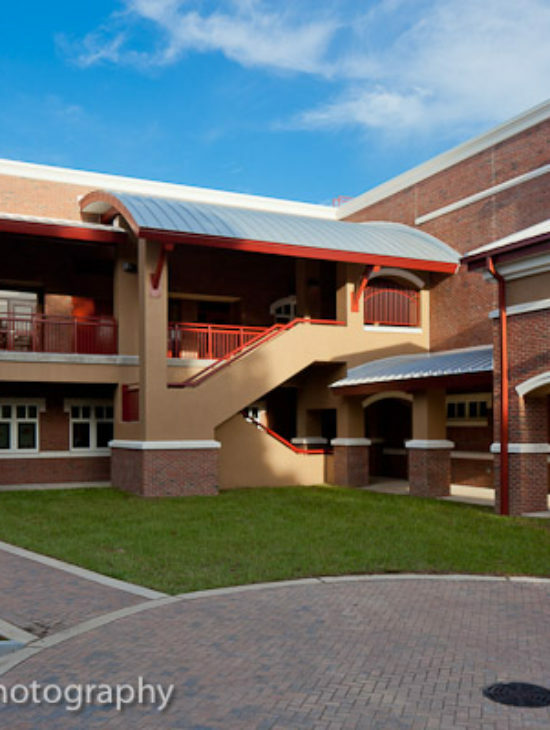 In 2009, Spring Engineering, Inc. was tasked to provide Pasco Middle School with a new courtyard in the center of the campus in place of an existing parking lot. Prior to the improvements, the heart of the campus was an open parking lot, a place void of any character and meaning. To travel between classes, students had to cross through this void, open area. Our opportunity to refocus the campus inward on itself. This became the core of our design. 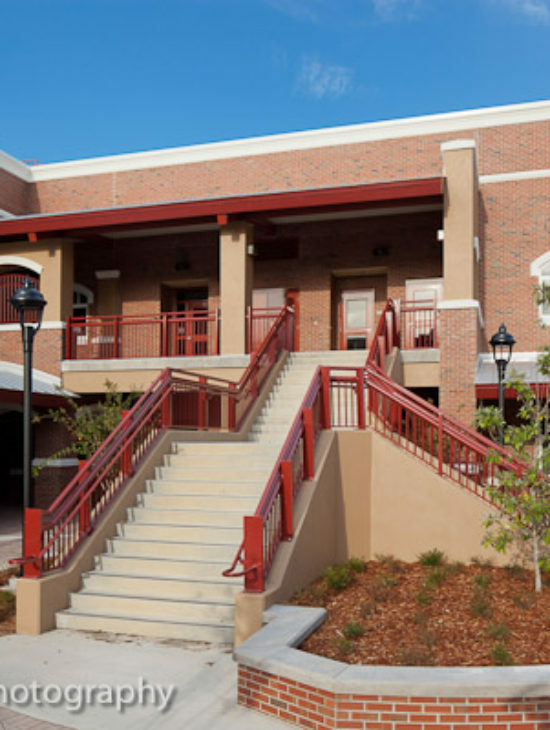 The courtyard is the central bond of the renovations at Pasco Middle School. It is comprised of raised brick, lushly landscaped planters which define curving pedestrian pathways between classrooms. These pathways are also lined with historical pedestrian lighting which creates a inviting space at night for after hour events. A tall, ominous retaining wall was removed to provide space for a brick amphitheater that sits within a landscaped hill that gradually slopes upward towards the gymnasium. This amphitheater is used for outdoor student and public activities. The scope of work provided for this project included but was not limited to: site design, addressing existing site conditions, 3D renderings and new construction. Electrical | Spring Engineering, Inc.